Laminate flooring is probably a term you’ve heard a time or two when it comes to renovating your home. Perhaps, your friends suggested purchasing laminate flooring because it’s fantastic for homes with young children in them. 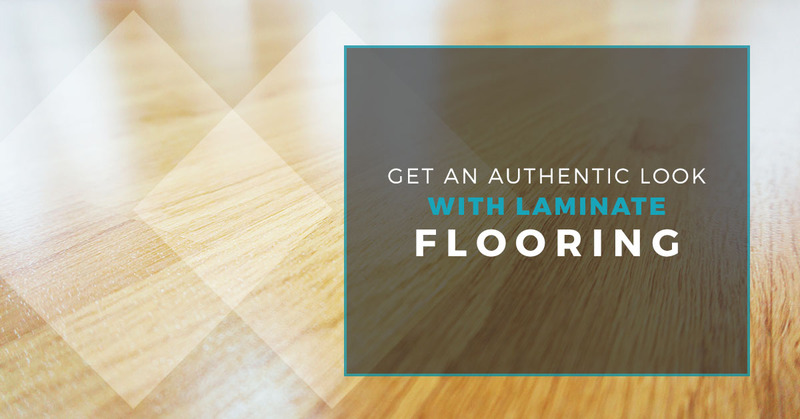 Maybe, you’ve considered laminate flooring because hardwood is too expensive. Whatever the case may be, laminate flooring is a type of hybrid flooring that is made up of particleboard wood. It provides the best of both worlds because, while it looks like hardwood, you don’t have to follow the same maintenance needs in comparison to wood flooring. Laminate flooring is an option that goes great in any home. Modernized and easy to install, laminate flooring is very similar to luxury vinyl flooring because of how the top behaves and due to the water-resistant material. However, the similarities end there because of the different materials that are used in the planks. This waterproof option is tightly seamed and is laid down in the style of joining planks. Made to look like hardwood, this type of flooring is made of pressed wood to give it that authentic look. The materials that laminate flooring is made from are high pressured to form the sheets and the photorealistic picture of wood — or stone if you want something different — with a protective layer over it to ensure durability. Laminate flooring is a great option because of the protective layer is has to make sure that it’s not harmed because of the scratching, moisture, or the UV rays that may damage the planks. Do you want a flooring option that’s easy to install, affordable, and solid for any home in Tampa? If you have pets or young kids, then laminate flooring is a great option due to the benefits it offers. This scratch and water resistant flooring are easy to clean and available in many different colors, textures, and styles. It also goes great in any room in your home. If you’d like to have it installed in your living room all the way to the bedroom, you won’t be disappointed with this option. Additionally, it goes great in high traffic areas due to the durability it offers. If you want to change the ambiance in your home, then this type of flooring is perfect due to the versatility you can expect of it. Affordable, sturdy, and gorgeous, you won’t go wrong when you decide on this type of flooring for your needs. So why 2 Day Flooring? What can we offer that other companies cannot? 2 Day Flooring is proud to offer an endless selection of quality laminate flooring options to your Tampa home. These high-quality options will provide you with beautiful flooring that will offset the rest of your home. Whether you have a big or a small flooring project, you can count on 2 Day Flooring to get the job done. For more information about our company, contact 2 Day Flooring.